Come to the IWA Mid-Year Bazaar! The International Women’s Association (IWA) Johor Baru is keeping their tradition of an annual charity fund-raising Mid-Year Charity Bazaar and will hold this event in partnership with KSL Hotel & Resorts on Tuesday, May 31. This is a one-of-its-kind charity bazaar where you can shop for unique items from stalls set up by IWA members from nations like Australia, Belgium, Finland, Germany, India, Korea, Netherlands, England, Scotland, the United States, Singapore and Malaysia. The IWA is a non-profit charity organization established in May 1999 to organize fund-raising social events to contribute towards healthcare, education and other social needs in Johor Baru. Since its inception, the IWA has raised funds to support various causes including the children’s welfare home in Saleng, the Rotary Dialysis Centre and several Tamil schools in Kulaijaya. The Mid-Year Charity Bazaar 2016 will benefit the Johor Area Rehabilitation Organisation (JARO), Care2Share supporting orphanages and JEiWA, an NGO that provides support to abused professional women. 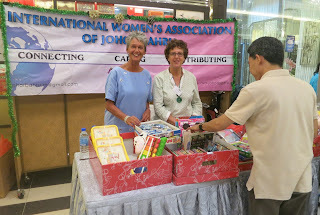 IWA has established a long-standing relationship with JARO, a charity which will also have a table to promote their handicrafts. These products are created in rattan, paper and beautiful batik fabric by physically disabled artisans who are trained in various skills in the basketry, book-binding and tailoring sections of their sheltered workshop. 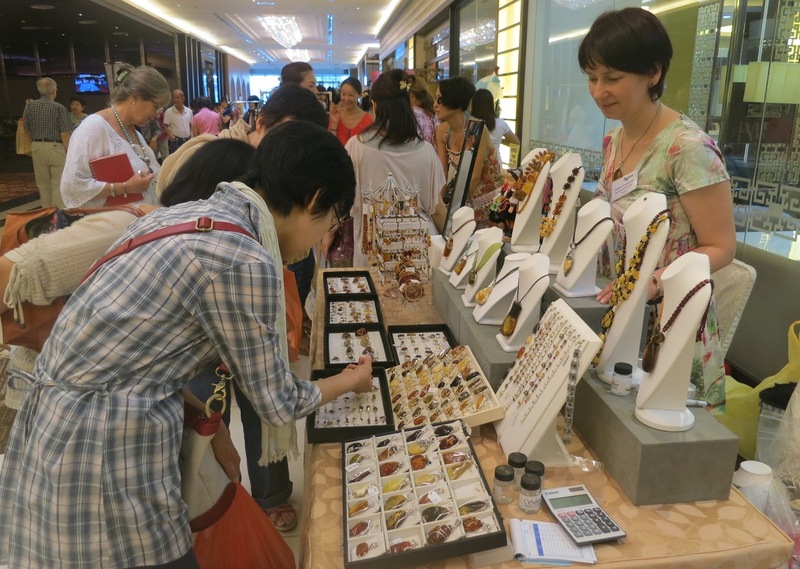 The IWA Mid-Year Charity Bazaar is an excellent way for members and the public to share their goodwill while they shop for useful and unique products and irresistible cakes and pastries. So come join the IWA members at the lobby of KSL Hotel & Resorts JB from 10am to 4pm! The IWA tagline, Connecting – Caring – Contributing, is a reflection of how IWA recognises its role in the community. While IWA is helping expatriate women adjust to living in a foreign country, they know that they also have a social purpose. As IWA becomes more aware of the needs of local charities, they are working to support them. Before the IWA was formally registered, a small group of expatriate ladies started to meet every fourth Tuesday for coffee and a small profit from the money collected will go towards charity. In the early days, the ladies contributed their time and effort to conduct swimming lessons for the disabled, organise Christmas Bazaars, compile a Johor Baru directory and started a toy library for needy children. The profit from these and other events was contributed in material goods to various charities and organisations. Catch the Tun Seri Lanang musical! On my drive from Johor Baru to Kota Johor Lama, the seat of the early kingdom of Johor, I can’t help but agree that there’s no better place for the media launch of the Tun Seri Lanang musical theatre show. I spot several landmarks that remind me that the district of Kota Tinggi was where Johor’s history started since 1528. It’s a bright and sunny morning as I head on to the launch of this musical presented by Yayasan Warisan Johor (YWJ) or the Johor Heritage Foundation. I bypass the entry into Kota Tinggi and turn into the old road towards Desaru. The scenic route is bordered by rolling hills, cultivated with oil palm plantations and I pass Felda Air Tawar villages and lush greenery in secondary jungles. I’m familiar with the attractions here but my eyes are searching for the signage bearing the name Museum Kota Johor Lama posted at various points along the route. I drive on until I see a sign to the museum at the turn-off to Teluk Sengat. Just before reaching Teluk Sengat, I turn into a narrow road where another sign points to the museum. The Kota Johor Lama Museum, housed in a building designed as a traditional Rumah Limas Johor, is situated in Kampung Johor Lama, an important site in local history. 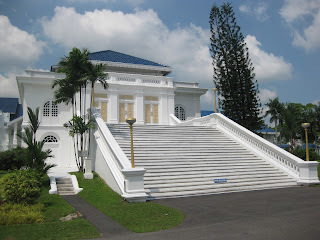 Artefacts and information in the museum records the role of Kota Johor Lama after the fall of the Malacca Sultanate to the Portuguese in 1511 and the rise of the Malay Sultanate in Johor. I drive on until I see a narrow road that leads to an open space where a number of cars and coaches are parked. “This must be it,” I tell myself as I park my car after a 73km smooth drive from JB. I don’t see any building and not a soul is about. Then I spot a paved path that leads up to a flight of wooden steps with an archway emblazoned with the words, Kota Johor Lama Museum, and I know I’m on the right track. The sun is beating down mercilessly as I trek along the path and when I round a corner I see the Rumah Limas on my right but my eyes are riveted to several people dressed in traditional Malay costumes. They look perfectly at home in this scenario and as I draw closer, I see some of the men and women wielding swords and armed with rifles! I realise they are part of the cast in the musical theatre show and my excitement goes up a few notches as I anticipate the launch event being held in the very site where history was made. I approach the building’s front porch or verandah where a group of people – dressed in black trouser suits – are seated and I later learnt that they are the choir. Tents are set up next to the building where groups of students and other guests are seated while I’m ushered into a rear parlour of the museum where the event is held. It’s an airy verandah typical of traditional houses where natural light and cool breezes are welcomed in. Rows of chairs are arranged for the event and I grab a seat discreetly behind the first row, aware that the front seats may be reserved for VIPs. When the event started, the seats in the first row are quickly filled up by key members of the cast with the show director, On Jaafar, seated in front of me. With six productions under On’s direction staged at Istana Budaya, he is no stranger to the musical theatre industry here. I met On several times at various YWJ productions over the years and it’s good to renew our acquaintance again. The local actors seated in front include Datuk Jalaludin Hassan who will play the main character, Tun Seri Lanang, Ungku Ismail Aziz who will play Sultan Iskandar Muda Mahkota Alam, Bell Ngasri in the role of Komeng, Raja Ilya as Puteri Pahang and Azizah Mahzan as Pucot Maelingoe, admiral of the Achinese fleet responsible for the attack on Batu Sawar with an 80,000 strong army in 1613. After the opening address by YWJ Director, Tuan Haji Mohd Shahrin Datuk Haji Rahmat, the State Executive Councilor for Youth, Sports, Culture and Heritage, Datuk Zulkanain Kamisan officially launched the show in a simple ceremony. I’m glad I got a hint of what should happen soon after this because I quickly put on my shoes [It’s a Malay tradition to remove footwear before entering a house!] and head to the front of the building where a scene from the show is acted out in the front lobby of the museum! In what is apparently an exchange of gunfire, I see spirals of red smoke exploding on the hillock opposite the building as armed “warriors” rush out, closely followed by sword-wielding female “fighters” – from their hiding place under the Rumah Limas – to confront their enemies! This gave guests a glimpse of the action scenes they can expect to see in the live performance of the 1 hour and 50 minutes long, musical theatre show. On is proud that the 149 members of cast and crew is made up of mainly Johor talents. These talents include actors, musicians, dancers, the choir as well as the crew involved with stage design, props, costumes and audio and visual technicians. On tells me that the youngest talent is a 15-year old silat exponent. He is pleased to work with young talents which is an indication that Johor does not lack talent and is encouraged that the future of theatre here is assured. The script for Tun Seri Lanang, the musical, is the joint effort of writers, Shaq Saini and Man C. K. The musical director is Hanizam Hassan while Rohayu Yusof and Sufian Hassan are in charge of the choreography. The audience can look forward to enjoying 90% of music in this production which is not quite a portrayal of the biography of Tun Seri Lanang but a showcase of how he transformed from a captured prisoner-of-war to a king. This musical features various interesting historical scenarios from Batu Sawar to Acheh that the character, Komeng, the personal assistant to Tun Seri Lanang, will link together with his narration. On assures me that the Malay language used in the dialogue will be easily understood because only selected scenes have dialogue in classical Malay and pantun or poetry. Music will be provided by an ensemble that includes contemporary instruments like the keyboard, string and wind instruments. As he went on to tell me about giving the lead actors singing parts, I think JB theatre fans can look forward to an exciting treat in this production filled with music, dances, costumes and historical characters – one that I’m not going to miss! Tun Seri Lanang, the musical, will be staged at 8.30pm on June 3 & 4, at the Persada International Convention Centre. Tickets priced at RM10, RM20 and RM30, can be obtained from the YWJ Complex at Jalan Sungai Chat, Tel: 07 - 2245488, or by WhatsApp on Tel: 015 – 9613 0910. If you wish to have the full heritage experience, go visit the historical site at Museum Kota Johor Lama, which is open daily from 9am to 5pm [Closed on the first day of Hari Raya Aidilfitri and Hari Raya Aidiladha]. Entrance is Free-Of-Charge. Gone are the days when a café or restaurant was just a place to dine. Discerning diners in Johor Baru are not only seeking special menus and sophisticated food – they are also after a cool and jazzy ambience, live music and one-of-a-kind, diverse destinations. Vintage and retro themed food and beverage outlets are perennial favourites but diners are still hungry for destinations that provide more than just dining. Now JB has its share of well-planned venues but some just happened quite naturally. Foodie Wedding, a popular café at Jalan Serampang in Taman Sri Tebrau, first opened as a wedding gallery. This was where photographer, Gucci Wong, usually arranged an early start for pre-wedding photography in his studio. His clients would arrive at the crack of dawn – usually without eating any breakfast – to put on their bridal make-up before dressing for the day-long photography session. These photography sessions are often long-drawn and stressful so Wong decided to make their time more pleasant by kicking-off the day with a fortifying European breakfast. Aptly named, Le Breakfast Wedding, it comes in a portion large enough to be shared by the couple. This big breakfast of juicy pork sausages, streaky pork bacon, a poppy seed bagel, scrambled eggs, roasted tomatoes, potato tots and wild arugula salad, remains a popular signature item in the menu at Foodie Wedding. This café has since garnered a regular clientele of non-wedding package customers as well as married couples who had an unforgettable breakfast experience on their pre-wedding photography day here. Many new diners also ended up as wedding clients when they are introduced to Wong’s wedding packages. Early risers also like this cafe because they can savour a hearty European breakfast from as early as 7.30am! Over in Taman Pelangi, Café Racer, as its name describes, is a biker themed café that not only serves a satisfying menu but is also a bikers’ haven. It’s the brainchild of Chef Gary “Ozzy” Hong, a biking enthusiast and member of Militia Riders Motorcycle Club, who designed this café with bikers in mind. A double-storey shop unit is turned into a café decorated by vintage motor-bicycles and scooters, biking paraphernalia and a range of interesting helmets. Regulars feel at home, seated near bikes, rims and rubber tyres, and dining on delicious food, quite unperturbed by the faint but familiar scent of motor oil. Café Racer is a preferred venue for biking events and a frequent hangout for biker enthusiasts from throughout the nation, who enjoy riding to popular food destinations. Diners – from bikers, VIP guests to members of the Johor royal family – enjoy capturing special mementoes at a wat aphoto booth where they may pose, seated on motorbikes against a cool backdrop of the Café Racer logo. Sea & Saw and Eight on Lido Hill at Jalan Skudai, are popular chill-out choices for guests that range from celebrities, Hollywood personalities to royalty as well as ordinary people who want an extraordinary venue for a special occasion. The lush greenery in matured gardens is a natural oasis for privacy and a world removed from the city humdrum. Creatively designed in Spanish casas with beautifully landscaped gardens, these cool destinations are among the top picks in the city to make the best impressions and special memories. The gracious garden at Eight was the venue for countless outdoor weddings and special events. Corporations that wish to impress their guests, often host private dinners here and Eight was also the venue for exclusive dinner shows for the Johor Baru Arts Festival. 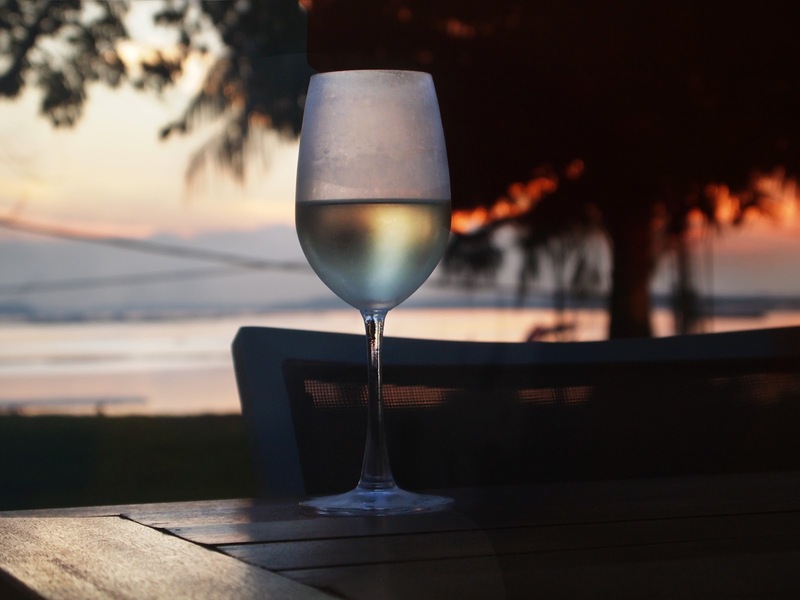 After helping to coordinate intimate dinners for men who have successfully proposed to their girlfriends, the team at Eight have proven to be quite adept at pulling off pleasant surprises with happy endings! Eight is part of the life history for many couples. A particular pair hosted their engagement party here after she accepted his proposal at Eight. Then they worked with the team to hold a memorable garden wedding here. Recently they returned to Eight to host a special baby shower to celebrate the birth of their firstborn – not just an exclusively ladies event – but an occasion to celebrate with family and friends! Then there are diners who prefer restaurants that grow their ingredients in their own gardens and discovered what Sea & Saw, Rowan & Parsley food atelier and Flowers in the Window, are doing to set them apart from others. Rowan & Parsley is a cool sanctuary created within a warehouse at a light industrial area and grows useful herbs and spices in their garden. At Sea & Saw, the cultivation of hydroponics and herbs also supplies ingredients to their kitchen. Diners not only enjoy the refreshing garden ambience in these venues, they also appreciate their use of wild-caught, fresh and local ingredients to create healthy artisanal food. Regulars at Sea & Saw cannot miss the tastefully designed furniture that are both beautiful and functional because owner, Sea Wong, is also a furniture designer. Some of his pieces are also used in Flowers in the Window, a double-storey café-florist at Jalan Dhoby. Designed in a pre-war double-storey shophouse, this is a quaint flower shop that also serves brunch, lunch and dinner, using fresh ingredients with edible flowers on some dishes! Another cool hipster place is Pot’s, a tiny café that started at Jalan Pahang as Pot’s Kitchen and developed into Pot’s Industries. The team at Pot’s recognized that they were not just a kitchen that serves interesting café fare but a multi-faceted destination with a range of activities like surfboard making, vintage bike refurbishing, a t-shirt and accessories boutique and even a reading room. Aptly named, Baca, this reading room at Pot’s encourages diners to borrow books to read and chill out in the café. One of the newcomers in the city’s heritage quarter is the Drums Café, a destination with its décor inspired by the 24 Festive Drums’ art of drumming. The drum theme is evident from its façade to the furniture, with many tables created from drum tops and drums suspended from the ceiling. The natural scarring on the worn leather is proof of how these old drums were put to good use to promote this unique art of drumming that was proudly born in JB. From inculcating values and passion for culture, developing hobbies and responsibilities like what they are doing with a petting zoo at the Cats At Their Sanctuary or CATS Café, these are just some of the interesting destinations in our city that are certainly more than just places to dine. While Portuguese tarts, glittering casinos and the ruins of St Paul's cathedral are must-see and must-taste icons of Macao, I often look for another side of the destination that reflects the true character of the place and its people. To explore Macao, a tiny peninsular of mainland China linked by bridges to the islands of Taipa, Coloane and Cotai, we travel by coach to popular sites in the tour itinerary. But a walking tour is still the best way to see a bit more than what the brochures say. Even as the guide leads our group on the walk, I will listen to his commentary and linger a little longer, or if time permits, venture further for a glimpse of life in that locality. Touring is tiring but while others may doze off for forty winks in the coach or car, I stay awake – armed with my camera – to capture any interesting sights that we pass. Very often I discover fascinating insights into the local lifestyle that are keeping the destination attractive to tourists. Here are some fascinating scenes of Macao that should interest you to go off the beaten track, every once in a while. At the Dom Pedro V Theatre and the adjacent St Augustine church in the historic centre of Macao, our group decides to see the theatre first because the congregation was still in the church. The crowd had already left when I head over to the church but what makes me pause is the sight of a young lady cleaning up responsibly after her dog had defecated. I’m impressed that she came prepared with sheets of old newspaper to clean up and I only wish more pet owners practice such good habits when they bring their pets to public places here. 2] Spotted on a balcony: drying fish next to undergarments! I spotted fish drying next to clothes on this balcony! In our tour of Macao, the route by coach takes us through various districts to reach the sites and attractions. While the guide gives a running commentary and point to landmark buildings in the passing neighbourhoods, I learn more about the areas’ heritage. Looking around, I suddenly spot a balcony where sheets of cardboard are hung up to shield from the blazing sun while clothes are drying next to rows of fish! While browsing around the morning market, I stumble upon a group who seems like regulars who meet here to play some games. One group was watching a pair playing Chinese chess while another group was gathered around what appears to be card game. As I pause to take in the scene, I’m amused that Macao’s gaming culture even permeates a quiet corner in a busy morning market! In some communities, tea drinking is an art and connoisseurs of good tea go to great lengths to find tea that suits their taste. We walk pass many tea shops that display cute teapots with matching tea cups and a range of tea leaves but the sign above the entrance of this shop caught my eyes. It must be a literal translation to English but the message is clear. They welcome tea lovers to sample their tea and use the opportunity to promote their quality teas. Look at the size of that winter melon! I always like to a peek at what the locals eat and where they buy their food so I nip into the Taipa Municipal Market, better known as the Red Market, for a quick walkabout. My eyes are riveted to the stalls stacked with a range of colourful range of fresh vegetables – leafy stalks, gourds and cucumbers – but the gigantic size of the winter melon made me stop for a closer look. Our melons are just half this size but this ginormous species seem to be typical of melons in Macao because I spotted similar large melons at other stalls. Our guide takes us on a number of shortcuts in the walking tour to show us interesting sites and mercifully, avoid steeper slopes. In one such detour, we pass a side lane that attracted my attention because it was so bright and clean. Unlike most small lanes which are often cluttered and filthy, this little lane was dotted with cute figurines that beckoned patrons in. If only we can adopt this idea to clean up our back lanes and turn them into safe and clean walking routes too. At a glance this traditional Chinese medicine shop, typically designed with rows of wooden drawers to store a range of medicinal herbs, may look like any Chinese medicine shop in Asia. But as I look at its wooden signboard, I’m reminded that we are in Macao, a trading post with a Portuguese heritage when I read its name in red capital letters, “Farmasia Chinesa Hang Vo Tong.” The business remains relevant even to this generation as the old floors are paved to an increased height while the wooden counter is carefully preserved! Who would have thought that bamboo-pressed noodles sprinkled with dried shrimp roe is among the Cantonese specialties listed in the 2015 Hong Kong Macao Michelin Guide? With more than 30 years’ experience in making these noodles using the traditional bamboo-pressing method, Wong Kung Sio Kung owner, Cheng, is modest about being listed in the food guide. A taste of these skillfully made noodles and their classic crab congee is reminiscent of comfort food from my grandma’s kitchen! Can you see that dark stained cloth strainer? In a traditional coffee-shop in Taipa, customers are enjoying the local brew while I watch the kitchen staff brewing the hot beverage step-by-step, one cup at a time. No, she’s not a barista but a coffee-brewer who brews humble cups local coffee using a ceramic pot traditionally used for brewing medicinal herbs. The dark stained cloth strainer she lifted up caught my eye because it’s reminiscent of the ones used by traditional kopitiams here! Yum cha, which literally means “drink tea” is a tradition the Cantonese take very seriously. It’s a morning ritual every generation enjoys together over cups of tea and dim sum, small portions of delicacies that are usually steamed. At Long Wa Tea House, an old-school dim sum place, there’s natural ventilation through open windows and ceiling fans to keep the air circulating. To maximize space, wooden furniture are designed in booths that line the walls and diners enjoy their meals at leisure, just as they did here since the 1960s! Jalan Wong Ah Fook is a familiar main road in Johor Baru but who was Wong Ah Fook? Wong was a key personality in Johor history who had close links with the Johor sultan and established himself in building construction before gaining success as an influential entrepreneur. As a carpenter-turned-builder, Wong is credited for building the magnificent Istana Besar or Grand Palace, Istana Zahariah, Balai Zahariah and the Johor Baru Prison, among other shops and buildings. 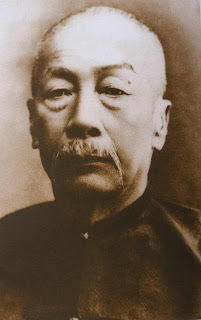 Wong Fook Kee, better known as Wong Ah Fook or simply Wong Fook, came from a distinguished Taishan family in Yanjincun. At that time, the warring struggle for land and resources between the Cantonese and Hakka around the Pearl Delta, made it difficult for Wong to improve his future. So in 1854, 17-year old Wong left home to seek his fortune in a distant land. Thousands of Chinese immigrants or singkeh, desperate for a better life, arrived in Nanyang or Southern Seas, in the 19th century. Wong suffered the same fears and anxieties, the same hopes and aspirations as other immigrants, but he survived while many perished. Every immigrant was to find his own path to wealth and while Wong had courage and fortitude, he was also a genius in turning opportunities into profits. Wong was not a coolie or a merchant and with only a basic education, he was also neither ignorant nor uninformed. When Wong chose to be apprenticed to a man in the woodworking business, his future livelihood was literally in his hands. His ability to turn his carpentry skills into a construction business proved that he also had good entrepreneurial skills. He then obtained the benevolent patronage of Hoo Ah Kay, a fellow Cantonese nicknamed, Whampoa, who had a successful business as a ships’ chandler. Whampoa who spoke English well, moved confidently in European social circles and it was he who introduced Wong to Temenggong Sri Maharaja Abu Bakar, a Johor ruler who was open to all Chinese and had plans to start a wave of modern development. By then Wong had earned a reputation as the building contractor who completed two warehouses for Paterson & Simons, one of the European companies that developed out of an older firm founded by William Whemys Ker in 1828. Among the first Europeans to set up business in Singapore, Ker was a friend and business associate of the Temenggongs of Johor, who had warehouses at Havelock Road, by the Singapore River. Wong later met the Maharaja’s consort, Maharani Fatimah, the former Wong Ah Gew, also a Cantonese. The Maharaja had such a high regard for her that he named the Muar district, Bandar Maharani, in her honour and when he attained the title of Sultan in 1885, she was bestowed the title of Sultanah. Traditionally, Chinese who share the same surname are regarded as being related to each other and Sultanah Fatimah addressed Wong as “older brother” and treated him as her kinsman. Besides Chinese immigrants who arrived to open up Johor for the cultivation of pepper and gambier in the kangchu system, Europeans and wealthy Arabs came to invest here. When James Meldrum saw the resources from the Johor jungles, he established the first European enterprise here in a steam sawmill on the left bank of Sungai Segget in 1860. The Maharaja appointed a European architect to draw up plans to build a grand palace and entrusted the task of building to Wong in 1864. He was still a young man and receiving such a major contract – the biggest construction job in its day – proved that Wong had progressed to the point where he could read complex architectural plans and carry out technical instructions. Building materials were brought in from various sources: ceramic tiles from Europe, marble from Italy, roof tiles from China, granite from Pulau Ubin and fired bricks from Singapore while fine hardwood timber from the Johor jungles was supplied by Meldrum’s sawmill. Construction was almost complete when the Maharaja instructed Wong to buy soft furnishings like silks, brocade, damasks and fine linen, for the palace from China. Wong, then 28 years old, felt it was time to take a wife so he also planned to return to his village for this. All the wedding arrangements were made with the family of his bride-to-be, but on his way home, he saw the devastation of war and how the dead laid where they had fallen. When Wong reached home, he made a decision to postpone his wedding and used the money he had saved up to bury the dead. With his future father-in-law’s consent, the wedding was postponed to a more auspicious date. Wong bought land dubbed the Wan’an Cemetery, and gave the dead proper burials. Wong then returned to Johor to complete the Istana Besar on schedule and on New Year’s Day 1866, it was officially opened. After saving enough money, he returned to Taishan to marry his bride, Chew Yew, and brought her to Singapore. In 1870, their eldest son, Siu Nam, was born. In 1892, Sultan Abu Bakar granted substantial blocks of land to Wong Ah Fook and Lim Ah Siang. Lim’s land was at Stulang while Wong’s land was called Jiu Soon Kang where his workshop was set up on Jalan Meldrum, the road leading to the steam sawmill. Three parallel roads adjacent to Jalan Meldrum were named after his older sons, Siu Nam, Siu Koon and Siu Chin. This area became known as Kampong Ah Fook. 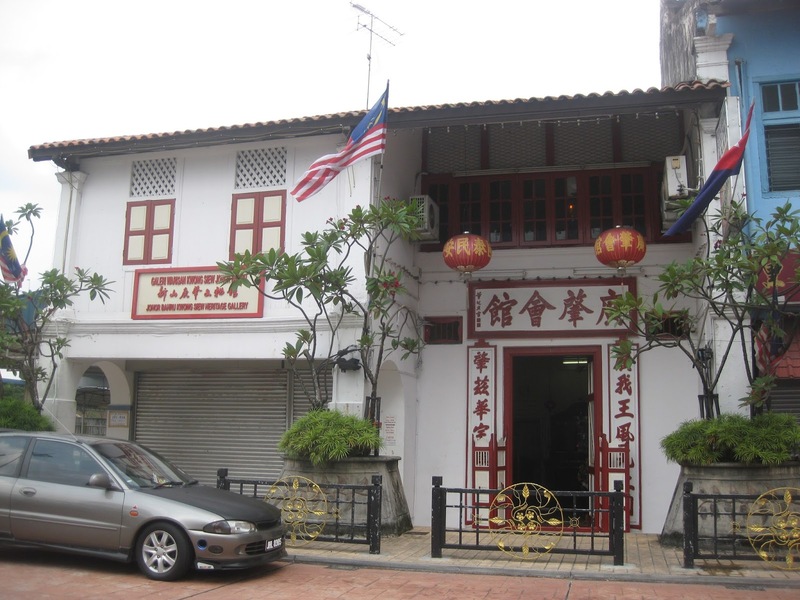 For 40 years, Wong was president of the Johor Baru Kwong Siew Wai Kuan, the Cantonese clan association with its clan house at Jalan Siu Nam. 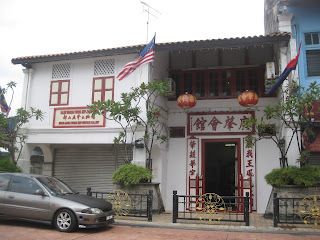 This building now houses the Johor Baru Kwong Siew Heritage Gallery. 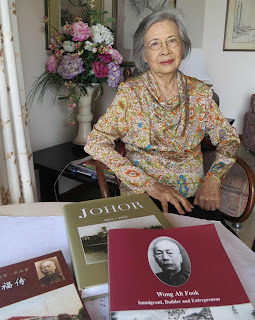 Further insights into Wong and his contributions to Johor’s early development is recorded in Wong Ah Fook - Immigrant, Builder and Entrepreneur (Times Editions 2002) and Johor – Local History, Local Landscapes 1855 to 1957 (Straits Times Press 2009), books by professional historian, Datin Patricia Lim Pui Huen, the great-grand-daughter of Wong Ah Fook. From April 8 to 10, visitors to JB City Square had the pleasure of enjoying the art of Japanese flower arrangements presented in the Ikebana schools of Ohara, Sogetsu, Ikenobo and Shofu-Ryu. The exhibition, officially opened on April 9, was graced by Counsellor from the Embassy of Japan in Kuala Lumpur, Hiroyuki Orikasa, IIJB charter president, Tunku Shahariah Abdul Rahman and distinguished guests from Kuala Lumpur and Singapore. Hiroyuki commended members of IIJB for their efforts in preserving the art of Ikebana in Malaysia and hoped that “The Way of Flowers” would further advance mutual understanding between the two nations. The flower arrangements in the exhibition were presented by members of IIJB and friends from the Ikebana Singapore chapter as well as members from Ikebana International Club Taiwan chapter 105. Special guests for the event were a team from Taiwan led by Lansing Chen, past president of the Ikebana International Club Taiwan chapter 105 and practitioner of the Ikebana school of Shofu-Ryu. Chen, the founder of the Shofu-Ryu Ikebana Association in Taiwan, and her team presented an interesting demonstration of Ikebana arrangements in the school of Shofu-Ryu. This was the first time fans of Ikebana in Johor Baru had the opportunity to appreciate the tradition of Shofu-Ryu Ikebana which advocates expression of Nature’s beauty with hardly any use of artificial material, in vivid colours, creativity and lively illustrations of the modern spirit. “I wish to thank the management of JB City Square, our venue partner, for the use of their concourse to showcase the creative Ikebana arrangements by our members,” said IIJB president, Datin Ong Kid Ching, who was very glad that public visitors at the popular mall had a glimpse of the various disciplines in the art of Ikebana. IIJB members also took the opportunity to celebrate the birthday of Charter President, Tunku Shahariah Abdul Rahman, with a cake-cutting ceremony before a High Tea reception. Ikebana International JB membership is open to all who are interested in the Japanese art of flower arrangement. Visit Facebook page: http://www.facebook.com/IkebanaJB for membership enquiries and info about IIJB chapter 235. It all started when I met with artist, Alvin Tan, at Art52Gallery at the Tan Hiok Nee Heritage Walk back in 2014. Tan, a San Francisco-based Malaysian artist was then in Johor Baru and had the opportunity to create his site-specific art installation entitled, Connect Disconnect, on Tan Hiok Nee Heritage Walk. This installation was made up of 120 pieces of 7-foot long buntings suspended along a 15-meter length of the road. My story on Tan and his art installation in JB’s heritage quarter caught the interest of Singaporean artists who read it in My Johor Stories. Then I received an email from founder of iArtsg, Kim Ong, who introduced me to visually-impaired artist, Chng Seok Tin, saying that they will be visiting JB and asked if I would be able to meet them. iArtsg is an enterprise with a social cause to promote artists with disabilities and supports artists who believe in this cause. Ong told me Chng and Tan are good friends from the Nanyang Academy of Fine Arts and that she and some artists from Singapore would be in JB to meet a former classmate and visit Art52Gallery, a gallery run by Tan’s brother, Eric. With a tagline that reads, “Invest in Inclusive Art,” iArtsg curates the work of celebrated Singaporean artists who are disadvantaged because of their abilities. These artists, who have won awards and accolades, need help to sell their work so that they can continue to create art. Through iArtsg, the work of artists with disabilities is reaching a wider audience where art-lovers are invited to invest in their works of art. In her email, Ong said that Chng’s philosophy follows that of a Taiwanese scholar who said you should live to read 10,000 books, travel 10,000 miles and meet 10,000 friends; and that she would be happy to meet me! That day where I had arranged to meet with Ong and Chng at midday, the scorching sun and sweltering heat did not stop me from finding my way to Art52Gallery. Ong and her group were already in the gallery upstairs when I arrived and she came down the stairs when she heard Eric speaking to me. We had never met but when Ong saw me, she recognised me from my avatar (which she said was very well done!) designed in the masthead of My Johor Stories! We went upstairs and I was introduced to Chng and a group of ladies who are also artists, calligraphists and writers. Chng, a printmaker, sculptor and multi-media artist, was born sighted and had her work shown internationally in over 26 solo shows and 100 group shows. In addition to art, she is also a lyricist and a prolific writer who published 11 collections, mostly in Chinese. Chng “looked” at me from where she was seated, all of us trying to cool down from the warm weather, and asked questions to understand who I am. As she spoke in Mandarin and English, she pulled out a pen from her shoulder bag, flipped a page on her ring-bound exercise book and asked the person next to her if that page was blank. And she started to jot down brief notes. I then understood that Chng was once sighted but she lost her sight after an accident. Chng attended the Nanyang Academy of Fine Arts where she received a diploma in Western Painting. In 1983, Chng earned her Masters in Arts from New Mexico University and then a Masters of Fine Arts from the University of Iowa in 1985. 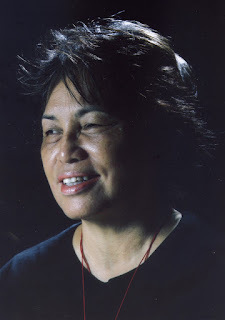 In 1986, she headed the printmaking department at LaSalle-SIA College of the Arts and was also an art editor for the Joint Publishing Company in Hong Kong. In June 1988, Chng led a group of her students from LaSalle on a tour of art museums in Europe. While trying to board a bus with the students in London, Chng fell and hit her head on the pavement. Back in Singapore, a month and a half after this incident, Chng experienced bouts of dizziness. These giddy spells was caused by a brain abscess and surgery was recommended. This surgery resulted in the loss of 90% of her vision. After becoming almost blind, Chng felt tormented for about a year but reached a turning point when she met other visually-impaired people. Another turning point was when LaSalle president emeritus, Brother Joseph McNally, invited her to return to the printmaking department at LaSalle. He believed that even though Chng was sightless, she still had good printmaking techniques and that she could still “see” the colours of the prints through her mind’s eyes. Chng was very encouraged when she returned to LaSalle where she taught until 1997. I soon discovered that Chng was named Woman of the Year by Singapore’s Her World magazine in 2001 for her courage and contribution to art. In 2005, she was the first person from Singapore to have a solo exhibition at the United Nations Headquarters, New York. That same year, she received the Singapore Cultural Medallion award. Then in 2007, Chng was the proud recipient of the Singapore Chinese Literary Award from the Singapore Literature Society. Chng is a strong inspiration because she did not let her physical disability stop her from pursuing her art. In 2014, she was inducted into the Singapore Women’s Hall of Fame and in 2015, Chng was recognized by the Singapore Ministry of Culture, Community and Youth, as “a pioneer of the modern printmaking practice in Singapore.” I understand that Chng was going to be a facilitator at the Dialogue in the Dark workshop in Langkawi later this year. As I got to know Chng and her cultural exchange projects, my foremost thoughts were who I should connect her with in JB. Then I thought it was worth a try to reach cultural activist, Tan Chai Puan, who was actively promoting Johor’s culture and heritage through cultural exchanges. I suggested to Eric that we should have lunch with the visitors – while I tried to track down C P Tan – and proposed the Drums Café, located just opposite his gallery, to which he agreed. It was also an opportunity to introduce the visitors to the Drums Café, a café designed in the theme of the 24 Festive Drums’ art of drumming. This art form was co-founded by C P Tan with Tan Hooi Song in 1988, where C P, a former businessman, writer, poet and cartoonist, wrote the poetry, while Hooi Song, a renowned musician, composed the music. While we were at the café, a local visually-impaired artist, Choo Kok Choon, 35, and his father, came to meet the Singapore artists. Choo, who teaches a class at an art school here, has an estimated 30 to 40% vision. I was glad to receive a message from C P Tan, who said he was with the deputy mayor of Teochew City on a cultural exchange visit to JB, but would come to meet the Singaporean artists at the Drums Café soon. We enjoyed our light lunch of Yong Tau Foo and while having coffee, C P Tan arrived. It was my pleasure to introduce him to the visitors and they made an instant connection with him as they conversed comfortably in Mandarin. He was certainly in a better position to share with them about the origins of the 24 Festive Drums and the inspiration for the Drums Café. They were getting along famously and when there was an opportunity, I asked Ong and she told me that he offered to take them on a tour of the nearby JB Chinese Heritage Museum. I was so glad that their visit to JB was beneficial on so many levels and I had the privilege to meet with Chng and her artist friends. The next day, I received a message of appreciation from Ong who said: Thank you for spending time with us. You were delightful company as you regaled us with rare gems of tales. And wonderfully helpful in connecting Johorean and Singaporean artists. It was my pleasure to meet with Chng and her fellow artists on their visit to JB and I look forward to seeing her work exhibited here for art-lovers to enjoy and appreciate. I’m sure Chng would be an inspiration for many as her extensive work spans various media including canvas, textile, ceramic, sculpture, installation and printmaking. And her art works are collected by banks, museums, educational institutions and private collectors, both local and abroad.